... and Eli Manning too. 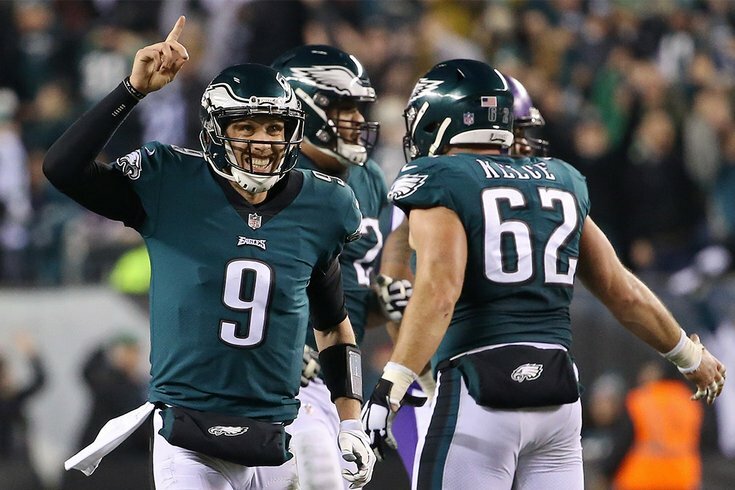 Quarterback Nick Foles (9) will lead the Eagles against the New England Patriots in Super Bowl LII in Minneapolis on Sunday night. Meanwhile, the city is at fever pitch as the clock ticks down to kickoff. According to former NFL scout (Redskins 2001-2007, Eagles 2008-2013) and current ESPN analyst Louis Riddick, the Philadelphia Eagles have the best and third-best quarterbacks in the NFC East. Riddick is operating on the premise that Prescott, paired with Jason Garrett, isn't as good as Foles paired with Doug Pederson, which is really more of a shot at Garrett than Prescott. Meanwhile, Eli Manning was essentially an afterthought in Riddick's rankings. Which Eagles player's injury is most worrisome? We'll dive a little deeper on NFC East rankings next week.